Special priced set of British Paratroopers for World War Two. 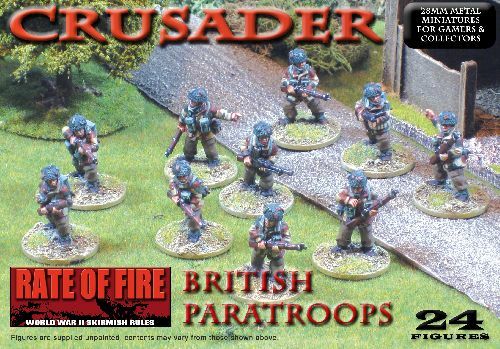 The mix has been designed to provide a unit to use in the new WW2 rules from Crusader Publishing, Rate of Fire. Unit includes 2 officers, two smg, 2 lmg plus loaders and 16 riflemen.